Feb 8, 2018 - David Blecken, executive editor, Campaign Japan, writes: Rakuten Data Marketing, a joint-venture between Rakuten and Dentsu (the companies hold 51% and 49% stakes respectively) opened for business in late 2017. 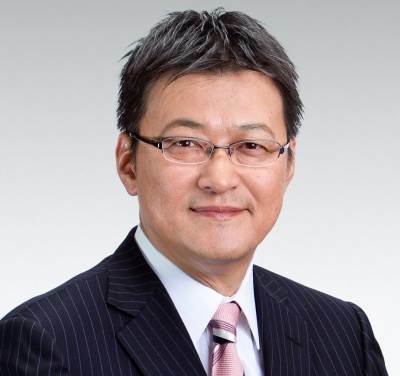 As high-tech as you might expect a data consultancy led by an ecommerce company to be, president and representative director Makoto Arima [pictured] explains that at its heart is the desire to finally measure the impact of TV on purchase behaviour. The new venture aims to grow Rakuten’s advertising business as the company comes under increasing pressure from Amazon, not just in terms of its core business but also in peripheral areas such as media and creative strategy services, which the latter is now developing in Japan. In simple terms, Dentsu’s account management and sales ability should now enable Rakuten to put the wealth of purchase data it sits on to use for paying clients. The former Japan country manager of Google, Arima sees data-driven marketing as “just starting” in Japan. That might underestimate the situation in a country where digital marketing has been highly sales-oriented from the very beginning. But he admits that finding data scientists is not easy. Rakuten Data Marketing consists of 10 dedicated staff and between 40 and 50 staff from Rakuten and Dentsu who support the company on a partial basis.